Software as a Service (SaaS) has seen exponential growth over the last two years and shows no signs of slowing down. While this phenomenal achievement is great for those involved with SaaS, it also means that competition in the industry will increase. One advantage of being a SaaS provider is that companies already know they must embrace technology to thrive today. Which makes things a lot easier because all you have to do is design a product that helps them make more money, whether it’s within the long-term or short-term. But you still have to generate demand for your SaaS business. And we’ve got a few tips or ideas on how to do this effectively. In recent years, several innovative demand generation techniques have become popular among marketers but there’s no single strategy that’s considered as the be all and end all. As a matter of fact, it’s the synergy between multiple tactics that work together to bring success in marketing. The only thing you can be sure of is change, so you can’t sit still for a moment. What works today might not pan out tomorrow. When you identify a trend with potential for business growth, get involved because the sooner you do, the quicker you gain traction ahead of competitors! Want to generate demand for your SaaS product? Here are the top strategies that you can consider this year. Some of them are familiar, while others are relatively new but they’ve all been proven to work. SEO is a top marketing strategy with lucrative ROI (or return-on-investment). Your website and content are at the center of your entire digital strategy and all other efforts revolve around it. No matter how many clever demand generation tactics show up, SEO will continue to remain relevant and perhaps, the most important aspect of any online marketing plan. It’s a proven and cost-effective method that has worked for years and continues to be responsible for plenty of online business sales worldwide. The ‘goal post’ might move from time to time but the end result is still the same. If people are searching for your SaaS products online, then you need to make sure they can find your company. So don’t drop the ball, keep working on and improving your SEO! This is an essential part of SEO that’s also offered as a separate service by many agencies. Content marketing is critical for attracting and engaging a large portion of your target market. And as with all aspects of SEO, it has also become more challenging. The content you put out has to be highly relevant, unique, engaging and useful to the reader. Segment your market carefully and deliver content that speaks to each one. Among other things, you need to research their needs and look for questions they’ve got that you can answer. Blogs are still effective when used correctly but pumping out regular blog posts that say the same things (more or less), as your competitors won’t make much of an impact. Your content has to speak to your target audience alone. This applies to your company blog, any guest posts you contribute, white papers, eBooks, press releases etc. EBooks, especially, can be highly effective for generating demand. This is because they’re detailed and providing you don’t bore your audience to death with dry copy, they are enjoyable to read. So lots of people still see great value in them. It’s also an effective way of engaging with specific segments of your target market or even a broader audience but your content must be great! The trick is to find their pain points and provide solutions in the form an eBook. Then your goal is to educate, inspire and excite them. Not sure what you need to write about? Then simply ask your intended audience and listen. You’ll be amazed at what people tell you if you just ask. Using social media to generate effective demand may keep you on your toes but it still works. Change is constant, so you have to adapt and evolve as the rules of engagement change frequently on social channels. Social media is still powerful and for now, a cost-effective way of acquiring new customers. Consistently posting relevant and informative content, including maintaining strong activity is important if you’ll be relying on organic social reach. Because by now, a lot of smart marketers know that the game is pay-to-play. All that being noted, ensure you’re staying consistent with your brand image. But adopt a style and format that suits each social platform. For example, what works on LinkedIn may be different from what’s working on Facebook. Lastly, your aim should be to attract relevant traffic from social media networks to your website, nothing more! Don’t go with the mentality of building an audience there because when you do that, you’re building the social media company’s platform, instead of yours (a site you control). This is a demand generating strategy that many believe is no longer as effective. Well, perhaps, but highly doubtful! Email marketing has evolved over the years and admittedly, has become more difficult to do today due to the massive amounts of daily spam that plague the channel (thanks, spammers – Sarcasm). But if executed with purpose, email can be extremely effective for SaaS companies, as well as others. And the best part is, it’s practically free. In most instances, a drip-feed approach or email automation will generate the best results. Regular short and powerful emails can be used to drive your message across to generate demand. For example, a simple automation may look like this: When someone signs up, they’ll receive the first email (welcome letter) and 3 days later, the second (product introduction). 2 days after the last email, they receive even more stuff and so on. Emails should be specifically targeted but they don’t have to be personalized unless it works for your business to do so. Yes, you read that right! An email can start with a simple ‘hey’ or ‘hi [name]’. Either way, it entirely depends on the behavior of your target audience. Are they laid back, easy going or professionals in corporate settings? Paid advertising is great for driving demand for your product, providing that you implement it cleverly. Get it wrong and you’re throwing money down the drain but get it right and your ROI is good. 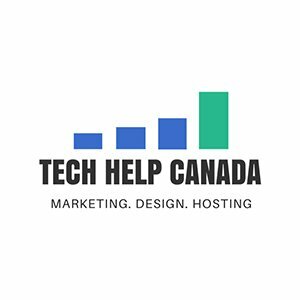 Google Adwords, social media paid ads and other forms of paid online advertising are, in the right hands, excellent tools to drive demand for SaaS. Keyword research, an awesome landing page and rigorous testing are the three main requirements for success with paid ads. One of the more recent tactics that some SaaS companies have begun using with good results is Meetup, a platform for meeting people near you who share your interests. To make it work, it’s important that you set clear objectives and promote your event or ‘meetup’. Create that wow factor and people will talk about your event for months after its taken place, leaving them eagerly anticipating the next one. There’s no denying the power and effectiveness of video in marketing today. Many consumers prefer to receive brand messages in video format than text. Which totally makes sense because it’s less reading to do for them. Some SaaS companies have reported amazing success with webinars. 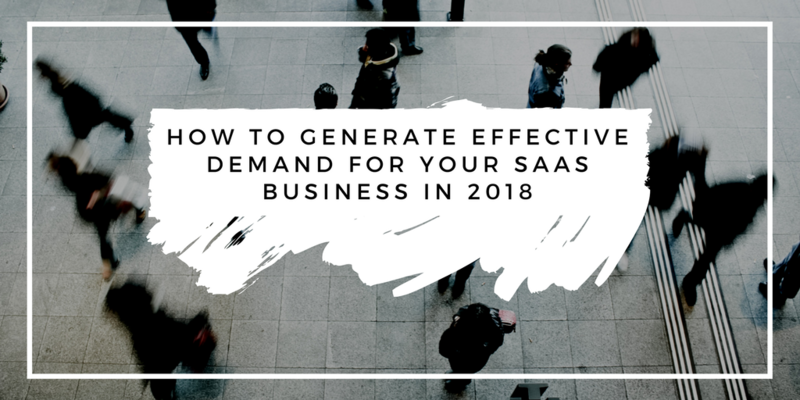 Although, it can be time-consuming to get it just right, webinars work and can generate effective demand for your SaaS business. But first, you’ll need to establish yourself or your company, preferably both, as an authority on the subject. As with other forms of content, you have to offer something of value that’s unique. And like public speaking, preparation is crucial for keeping attendees engaged. What’s the first thing someone does when they first discover a SaaS product that they’re interested in? The majority of consumers will begin research on Google or Bing or whatever search engine they use. That’s why you need to make sure you claim your business listings on the web. Some of the first places people turn to include the given company’s Google My Business and Yelp profiles, among others. Take a look at the top review sites for your kind of product and ensure you’re on the most relevant, as well as high-ranking ones. If budget permits, consider paying for prominent placements? Also, don’t forget to encourage your customers to leave reviews. All right, let’s wrap things up. Here’s the thing, the true power of the above-mentioned strategies or tactics we’ve listed is how they complement and reinforce each other. They’re far more effective together than not. Your target audience needs to be understood, clearly defined and you need a plan for reaching each segment of your target market. A one-size-fits-all approach will never work! Nevertheless, whatever methods you employ, keep them fresh, relevant and watch for changes in trends that you need to adapt to. Constantly test, measure and re-evaluate your strategies each year. How are you generating demand for your SaaS product? Let us know in the comments.